Pwllheli : Accommodation, Attractions, Activities, Going Out, Shopping, Things to Do, Places of Interest, Outdoors, Pwllheli Holidays, Pwllheli Area Location, North Wales. The magnificent coastline is home to numerous blue flag beaches to suite all tastes. If you're looking to spend the day on the beach or just a stroll the ideal beach is only a short distance away from Tyddyn Iolyn. Along the Cardigan Bay you have Aberdyfi, Barmouth, Tywyn, Harlech within easy reach, and all around the Lleyn you have beaches along the coast from Pwllheli to Aberdaron and Nefyn. Gwynfryn Farm Holidays north wales self-catering holidays near Pwllheli, with indoor pool, sauna and jacuzzi on organic dairy farm near Pwllheli marina, Abersoch, Portmeirion and Snowdonia. 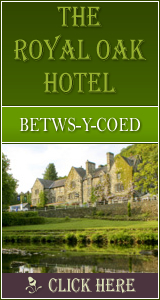 Quality self-catering holiday accommodation close to Snowdonia, Caernarfon, Abersoch and Nefyn.